SPAZZZ!!!! You can see our Star necklace clearly in this video of Shin Hye and her co-star in "Green Days" as they were being interviewed. Oh, wonderful day!!!!! Thank you again to everyone who donated!! On May 2nd, Shin Hye, Yong Hwa, and the whole of “Heartstrings” cast met for their script reading. On this particular day, Shin Hye was photographed wearing a salmon color shirt with her new haircut. But on that day, she also wore something special. Behold! 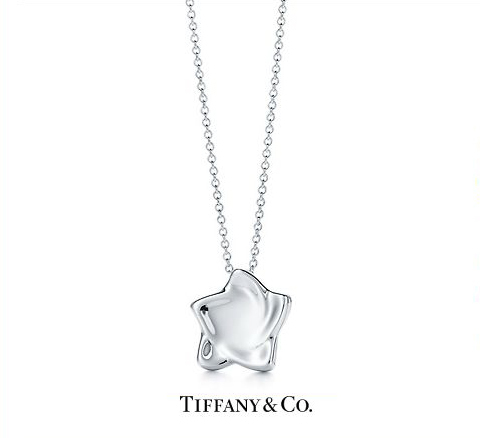 The STAR necklace we bought from Tiffany & Co!!!! Upon close, very very close inspection, the pendant on the chain turns out to be a star, the exact star we gave her for her 22nd birthday!! Are you spazzing? We're spazzing! This is amazing! It's so wonderful to see Shin Hye wearing our gifts. Doesn't it make you feel giddy and happy inside and make you want to jump on tables, dance out in the rain, or scream until your throat is raw? It's an amazing feeling! Thank you Shin Hye for wearing our necklace. You sure know how to make us happy Star Angels. We couldn't have done all of this without everyone's help. So again, we would like to take this moment to thank everyone who donated to the birthday project. With all your help we were able to buy many wonderful presents including this beautiful necklace she wore. So thank you so much again! There will be many more projects to come. It doesn't stop here. We have many more days, months, years to bring happiness to Shin Hye's life and to ours. If you have missed this last donation project, we are currently holding another donation, our "Heartstrings" fan project. We will be buying her summer accessories and bringing summer to her since she will be busy filming her drama, just like how we brought Christmas to her in Huis Ten Bosch. We can only make this happen with your help. So please, help us bring Summer to our lovely Shin Hye. We want to thank you in advance for your generosity and kind support. Thank you. 1. Click on the "DONATE" button below OR on the left side bar of our webpage. 2. If you have a Paypal account, sign in to donate. 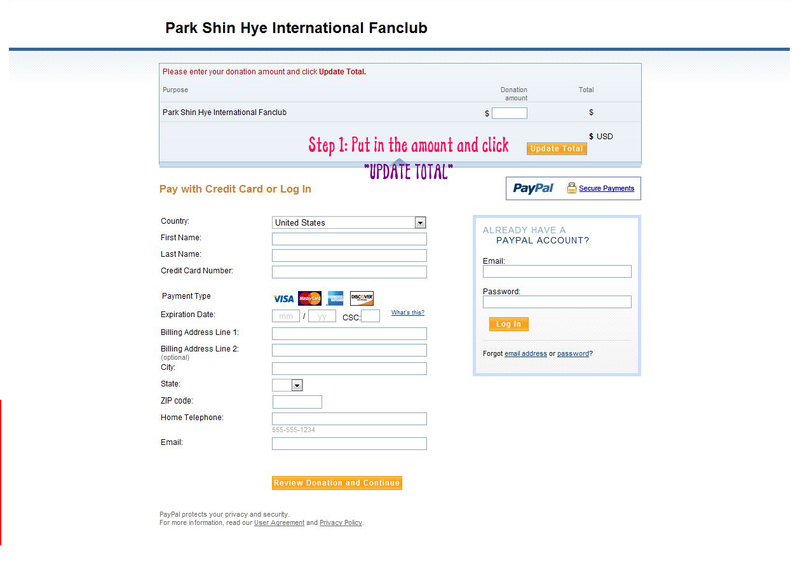 If you do NOT have a Paypal account, scroll down and click "CONTINUE" and donate with credit card. that necklace star from Tiffany & Co really is beautiful!!! I'm so happy! Thank you everyone who donated. We were able to make this possible because you help. And thanks everyone for all your continued support! I love PSHIFC and its members!